A total of 26,000 runners turned up for the marathon. 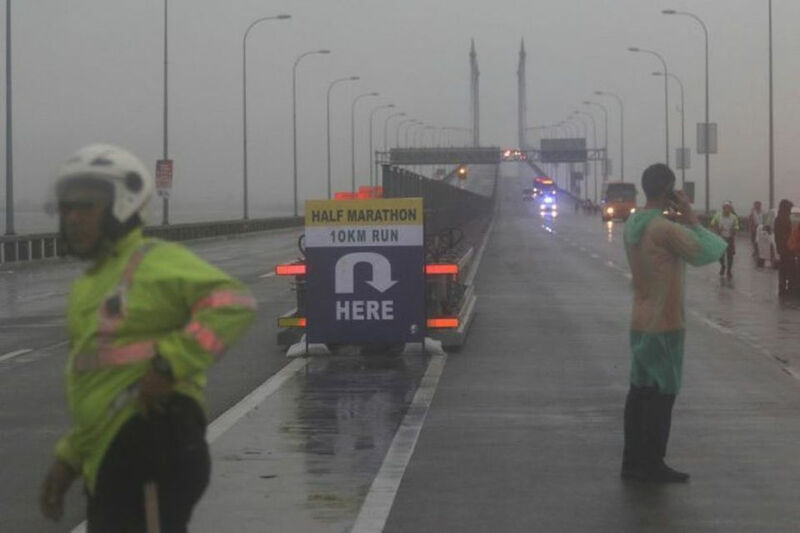 The annual Penang Bridge International Marathon 2018 (10km category) was cancelled due to heavy thunderstorm today morning, the first time its inception. Held since 1984, the PBIM is an annual event in the state government’s calendar. More than 11,000 participants in the 10km race were devastated when they were told at 6am that the run was cancelled. Although, participants did not manage to take part in the run, they did receive their finishers medal as consolation. State Tourism Development, Heritage, Culture and Arts Committee chairman Yeoh Soon Hin said it was unfortunate that the run had to be cancelled but the safety of the participants was of paramount importance. He further clarifies that that the run could not be delayed as the Penang Bridge needed to be reopened at 10 a.m. sharp. 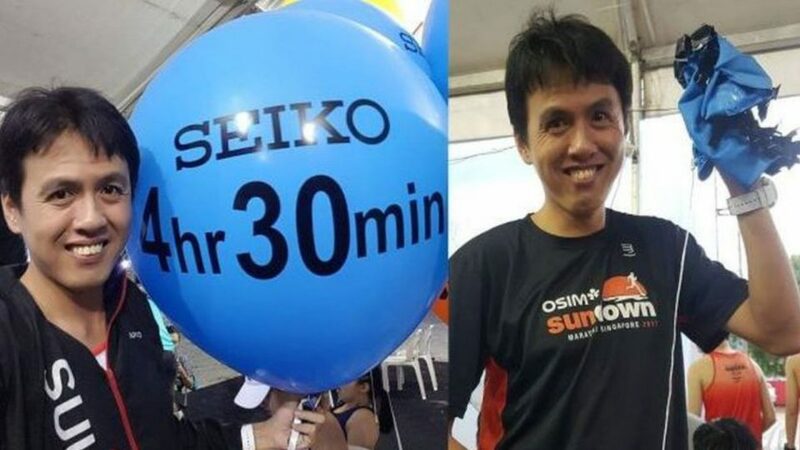 Cheng Kean Wee, who was a pacer for the full marathon escaped death when the lightning hit his "four hour and 30 minute" pacer balloon, destroying it and melting part of the strap. "We started the full marathon at about 1.30am. It started raining heavily at about KM31, and we could hear thunder and see lightning around the race course." The 32-year-old Penangite and the other runners, decided to complete the run hurriedly. "As the runners and I were heading towards the finishing line, we saw bright lights and heard a very loud bang. I felt my back was a little lighter. One of the runners pointed out that the pacer balloon which I was carrying had burst. ", he told The Star. Cheng, who works as an account executive in Penang added that while he had ran under strong winds and heavy rains before, he had rarely run in a thunderstorm as bad as the one this morning. Cheng managed to complete the 42km event in 4 hours and 29 minutes despite the incident. Although he was shaken by the incident, he is grateful that he is still alive. Kenyan James Cherutich Tallam clocked two hours and 24 minutes in the open men’s category; while Kenyan Peninah Kigen finished in two hours and 46 minutes in the open women’s category. The 42km full marathon and 21km half marathon, which started at 1.30 a.m. and 3 a.m. respectively, were not affected by the rain and went on as scheduled.